The Westinghouse WH24000i inverter generator is perfect for anybody who needs clean portable energy but doesn’t want to spend a lot of money. Westinghouse has truly designed one of the best inverter generators for the money with the WH24000i because it’s affordable, efficient, quiet, portable and packed with practical features. We tell you the facts so you can decide if the Westinghouse WH24000i is right for you. NOTE : Sadly, the Westinghouse WH24000i is no longer available, so I recommend either the Westinghouse iGen2500 or the WEN 56200i . **Read our indepth review of the Westinghouse iGen2500. Whisper Quiet : 59dBa at 50% Load. Lightweight, Compact, and Quiet. Clean power for homeowners. Quiet : 59dBa at 50% Load. Safely Powers Sensitive Electronics Such as Laptops, smartphones, etc..
2100 Running Watts / 2400 Starting Watts. Clean power : less than 3% Total Harmonic Distortion. EPA & CARB Compliant (Legal for Sale in California). Enhanced Fuel Efficiency – 1.3 Gallon Gas Tank Lasts 11 Hours at a 25% Load. Double Insulated Acoustic Hood and Asymmetrical Fans Allow Quiet Operation. ✓ View or download the MANUAL for the Westinghouse WH24000i. Why Invest in an Inverter Generator? A generator can provide you with an alternate power source when an emergency or natural disaster leaves you powerless or simply for recreational use. The latest improvements and innovations in backup power sources have given consumers an edge with newer models that meet today’s needs. Inverter generators, much like the Westinghouse WH24000i digital inverter generator, are becoming increasingly popular for their advantageous benefits over the conventional gas-powered units. Prior to the introduction of inverter generators, there really weren’t many options among generators. They were large, loud, and generally not recommended for use to power sensitive electronics. Inverter generators have made it much easier and practical to supply electricity any time anywhere you need it. 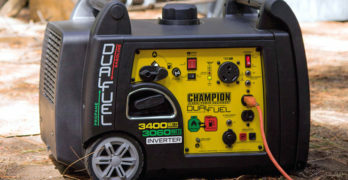 Thanks to the innovations and technology that have been factored into inverter generators, which are now boundless in available models — these are the preferred choice by campsites and areas with restrictions on gas-powered machines. This is because they’re much quieter while running than conventional. It’s clear to see the obvious differences between these newer style generators and conventional generators. 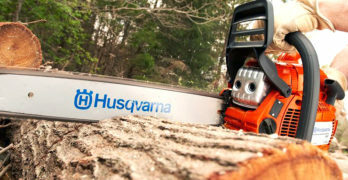 They are definitely the winner in the portable category and more practical than their larger gas-powered counterparts. Some features you might expect to look for in a traditional generator don’t apply with these types of units, so here are some factors to keep in mind when shopping for one. What is the run time of an inverter generator? These units are considerably smaller so it stands to reason that the fuel tanks are likewise small. That doesn’t mean they can’t run just as long if not longer than conventional models with large fuel tanks. These units are specifically designed to make the most use out of the fuel they consume for optimal efficiency. The Westinghouse WH2400i is equipped with an engine that will automatically adjust the speed based on the load applied to it so it’s not having to run uselessly at full power constantly regardless if one item or multiple items are receiving power. It can run all night up to 11 hours at half load on a full tank of 1.3 gallons of gas. Simple and straightforward to maintain. How much power can an inverter generator provide? Similarly to the traditional units, inverter generators come in a multitude of sizes to accommodate average users; although, these are generally not capable of running an entire home. An inverter generator that generates 1,600 to 2,000 watts is sufficient to power multiple appliances at once or one high-demand appliance with a smaller one. The Westinghouse WH2400i is the largest inverter generator offered by Westinghouse and generates 2,100 running watts and 2,400 peak watts. The added benefit provided by inverter-type generators is that they have the versatility of parallel capability. These units can be used in combination with an identical model to give you twice as much power for larger loads or as backup emergency power. The WH2400i consists of two 120VAC outlets, 2 USB outlets, and a 12V DC outlet. Alone it could power up a 25” TV, a mini fridge, a coffee maker, and a laptop all at once, just to name a few possible applications. Combine it with another WH2400i by connecting with the Westinghouse Inverter parallel cord to up the wattage for running an RV A/C or heater with a couple of additional smaller appliances. When you’re away from home or power source, conserving your phone’s battery can be critical – unless you have a way to charge it. With traditional generators, the amount of current flowing from the generator can vary with different appliances/electronics and this can potentially harm susceptible electronics like cell phones and laptops. Inverter generators are ideal for recreational use with these more sensitive electronics because they generate stable energy that is safer to use. The Westinghouse WH2400i is even conveniently equipped with 2 USB ports for charging cell phones for this very reason. Similar to conventional models, the Westinghouse WH2400i has important safety features designed to protect your investment from damage. A low oil shut off feature will automatically shut the unit off when the oil level drops below the recommended amount needed to maintain the engine. There is also an overload indicator that will reset the generator when the load applied to the engine is greater than it can handle. It’s also worth noting that the Westinghouse WH2400i is very easy to use. The controls are color-coded to remind the user which functions need to be performed to start the engine up properly. The EPA/CARB-compliant generator is one of the quietest inverter generators of its kind making it ideal for use while camping. Among other popular and highly reputable brands that manufacture inverter generators few come close to the same category as the Westinghouse WH2400i. The Honda EU2000i and the Generac iQ2000, for instance, fall short in terms of power output and cost hundreds more. The Briggs & Stratton P2200 is a close comparison to the Westinghouse WH2400i. The lightweight inverter generator features the same technology that produces smooth power and optimal performance that you can rely on. Both produce similar outputs in terms of wattage and amps, and have parallel capability to double your power. Both units are lightweight and easy to carry with convenient carry handles, but the WH2400i is 11 pounds lighter at just 43 pounds for easy portability. The heavier P2200 is designed with a carry handle meant for two people to carry. These inverter generators were built with fuel efficiency, but here’s where the WH2400i excels with a 40% longer run time. The P2200 will run for only up to 6.5 hours on a full 1-gallon tank of gas at 25% load. These models are equally more affordable options compared to their competitors and backed by 2-year warranties to ensure quality. When it comes down to deciding on the best investment for your power needs, the truth lies in the ratings. The Westinghouse WH2400i comes out ahead with very positive reviews by consumers for quality, reliability and durability to give you the power you need. This versatile little generator packs a great punch in a tiny package. 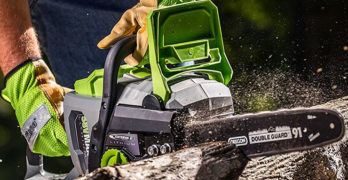 Designed with optimal features that make it ideal for the outdoorsmen and recreational use, when used in parallel with an identical model it can provide emergency backup when you a power outage strikes. Visit the Westinghouse site to learn more about their product lineup.